We’ve come up with some simple tips on how to transform your outdoor area into an inviting space. As the weather warms up, you’re finding yourself wanting to spend more and more time outside. The only problem? Your balcony feels too small. We’ve come up with some simple tips on how to transform your outdoor area into an inviting space. This is a classic technique. 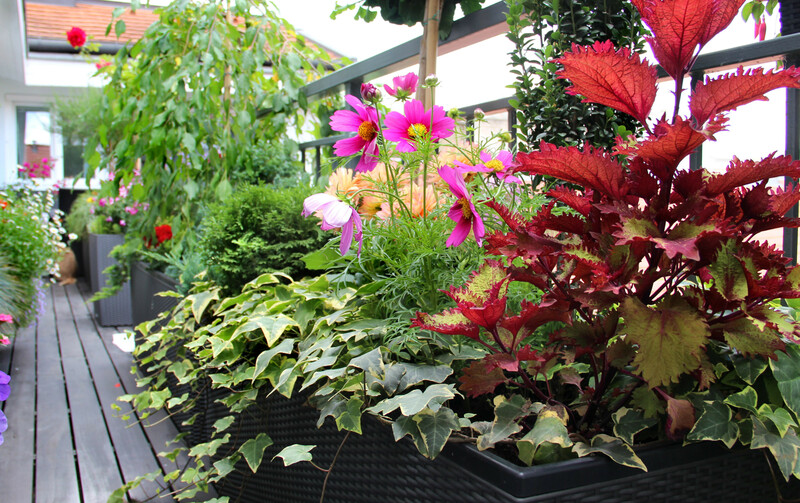 The easiest way to create a feeling of more space is to create one or two different focal points within your balcony. A focal point is just a feature piece that draws the eye. Hang a gorgeous piece of outdoor artwork above a comfortable lounger, or wrap outdoor fairy lights around your balcony railing to create a statement piece. With every small space, scale is important. Don’t choose furniture that will take up ¾ of the area. 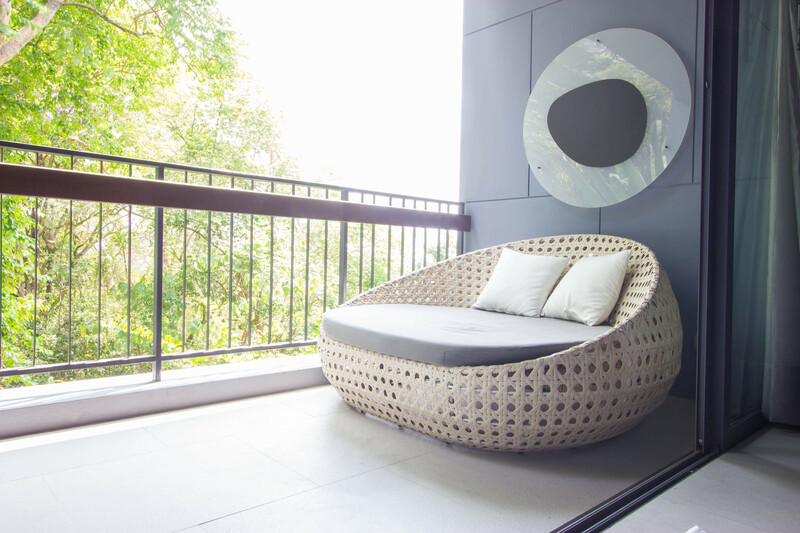 Instead, opt for a sleek, lightweight lounger and floating furniture such as hammock chairs to create the feeling of more space. The best trick to squeezing more use out of a small space is to ensure everything is as multi-functional as possible. For example, you can create a small raised garden bed with a thick wall which can double as a bench. Scale is also important when choosing plants. Opt for the kinds that do well in smaller spaces, such as Devil’s Ivy, Maidenhair Ferns and succulents. You can also arrange plants of different sizes and heights, like a taller tree with small pot plants and bushes organised in descending order. This creates a sense of busyness and tricks your brain into thinking the space is bigger than it really is. Herb gardens make a wonderful addition to any small space, and also serve a functional purpose. Just imagine sitting on your balcony with the delicious fragrances of Basil, Thyme and Rosemary surrounding you. By drawing the eye upwards, you draw attention away from the limited space on the ground and instead to the expansiveness of the sky. To do this, plant vertical climbers or bamboos as well as tall water features that will keep the line of sight high. Even if your balcony is too small, you can extend the area by connecting the outdoors with the indoors. Use similar materials found in your living room to reinforce a visual connection between the two areas. For example, if you’ve used a lot of timber and glass inside, select a glass-topped side table and timber seating to go on your balcony. The key with any space, big or small, is to make it your own. So, while the above tips can help you make your outdoor area feel bigger, always remember to use your own artistic flair when decorating. Hang up your favourite tapestry, or place an outdoor rug beneath the furniture. Pick up some old cushions from an op shop in your preferred colours and patterns. Whatever you do, as long as it’s in your style we guarantee you will want to spend more time in your perfectly curated outdoor space.